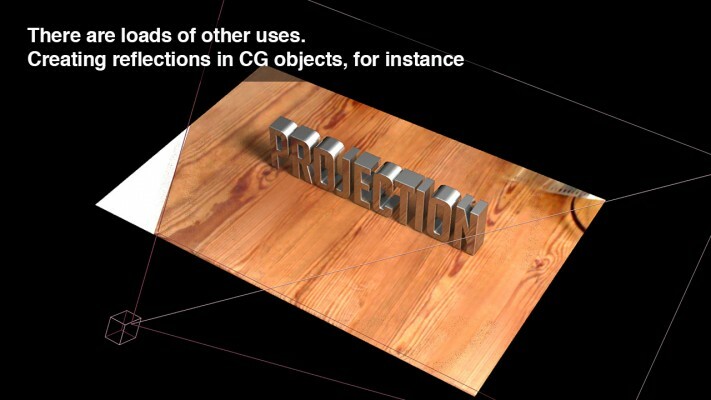 Projection makes light work of camera mapping onto 3D planes in After Effects CS6 and CC. 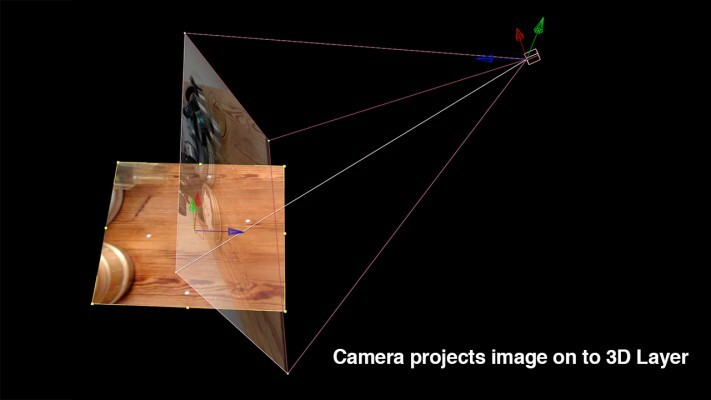 It was created with the release of After Effects CS6, which introduced the 3D Camera Tracker, a built-in matchmover. 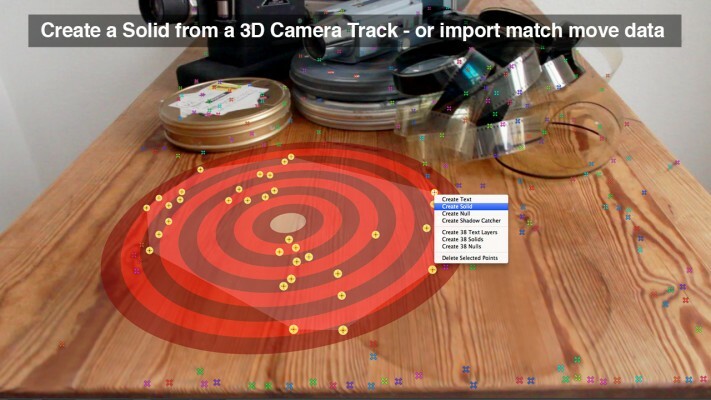 But Projection works equally well with imported match-move data from programs such as Syntheyes, Boujou and PF Track. 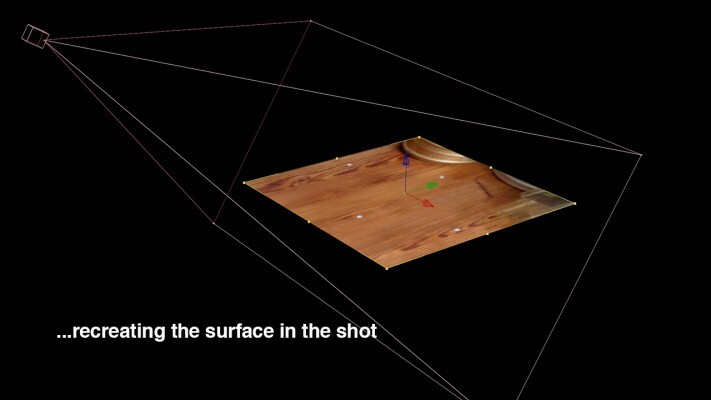 By projecting the camera's view onto a match-moved surface, Projection effectively creates a plate from a moving shot - a static overhead view of part of the moving image. That makes altering that part of the image child's play. 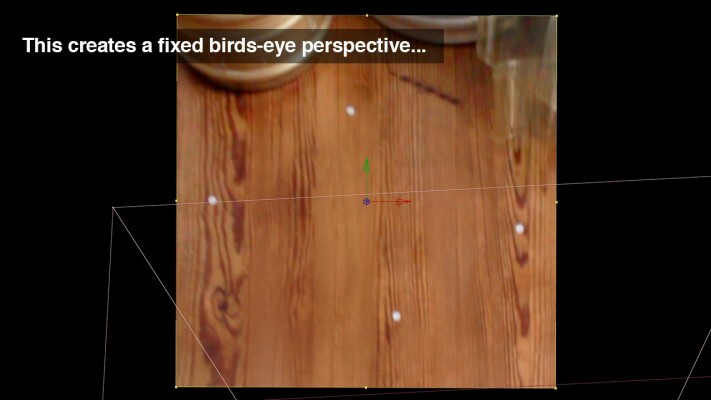 For instance, tracking marks in a shot can now be removed with a single quick paint stroke, taking seconds instead of hours. 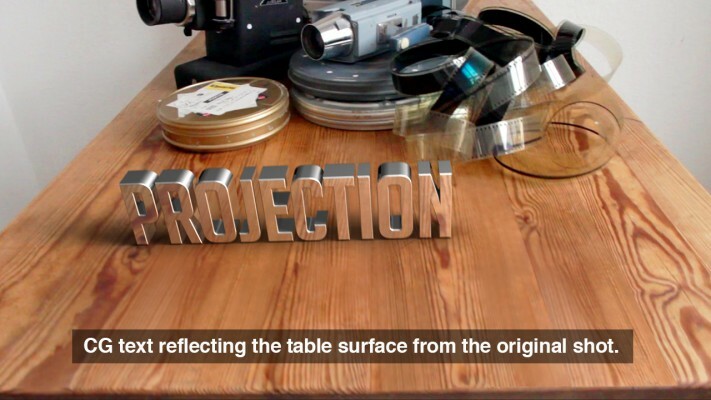 Projection is also great fun for other motion graphic orientated tasks. 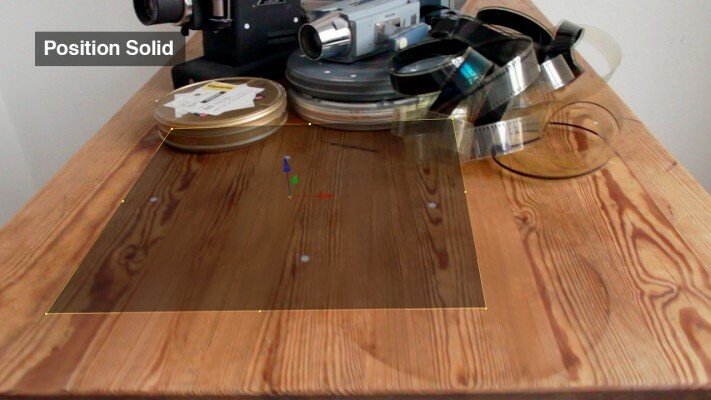 For instance, have some fun and create funky parallax tricks and other trick shots, create believable reflections on Ae geometry objects and even create tilt / shift effects. 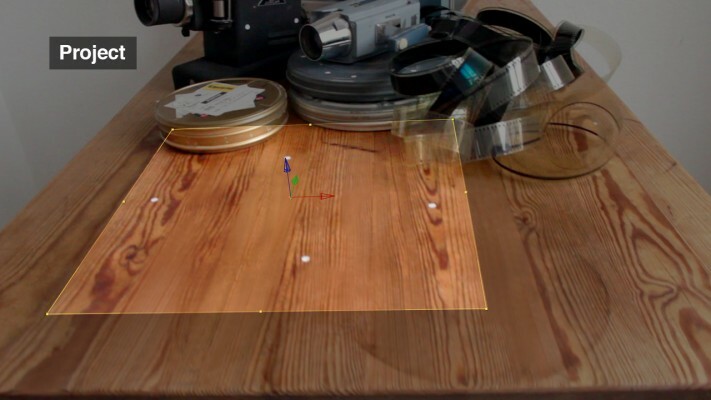 Some of these applications are demonstrated in the two Projection demos. Don't forget to check them out. 1.02x84 adds various minor updates and fixes. 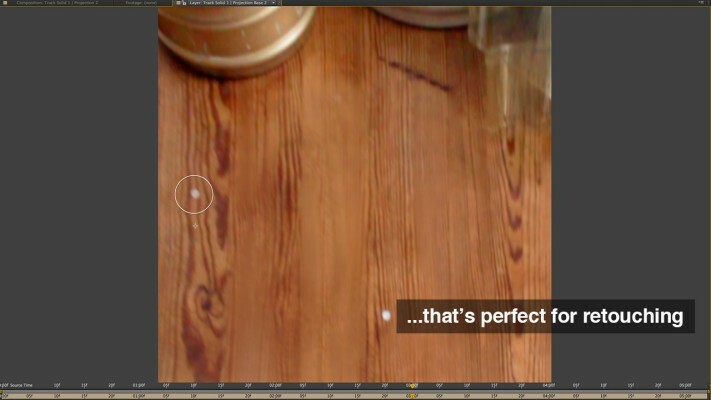 • The ability to work with footage that has an alpha channel. • A couple of non-critical tweaks and bug fixes. x80 fixes an issue in After Effects 13.7.